Prior to asking “how” to do something, one should always ask “for whom” it shall be done. A simple sentence with an enormous importance, however. Because prior to developing the right solution, we will concentrate on your requirements. What application exists, what framework conditions are in place for the application, when and where is the product needed and in what quantities? Only after these questions are answered, you will get from us the product which exactly matches your application purpose. You can assume that it belongs to the best products of the industry. The basis for this are our permanent innovations, the capability to recognize industry trends at an early stage and the continuous striving for good quality. Everything else is a matter of enthusiasm of each and every one of us to always reach the best results. Attention: When playing the video, data is transmitted to Vimeo. You can find further information on the page "Data protection". Customer requirements with regard to the product and the procurement process are key action parameters to us. Our products and processes are reliable and always meet the highest quality requirements. Permanent improvement of our team is our target. As a middle-sized family company, our employees and their know-how are our most important asset. In our company, all employees enjoy the same, high esteem, because only by means of the above-average commitment of all employees we will be able to succeed in the market. We are active on global procurement and sales markets, but we keep our feet on the ground, anyway. 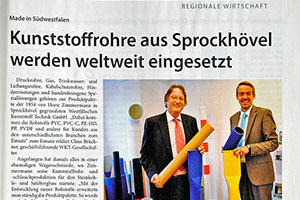 The strong roots in Sprockhövel, the good cooperation with our regional business partners as well as the support of non-profit organisations are very close to your hearts. The goal of our activities is sustainable value creation. We are reliable companions for our business partners and ensure excellent working conditions for our employees. Our strategy is not short-term profit maximisation - we are looking for the best long-term solution. Our strong community of employees and entrepreneurial family is motivated to always reach the best results. We show closeness to our home country and are not only shareholders to our employees, but also partners. 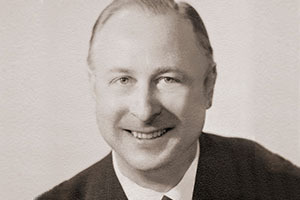 In a one-time coach-building works in Hammertal, Horst Zimmermann founded the plastic pipe production. 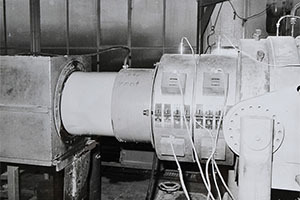 Using an extruder from the company Koch in Siegen (HKS 45), PVC pipes and hoses were manufactured for coal and salt mining. 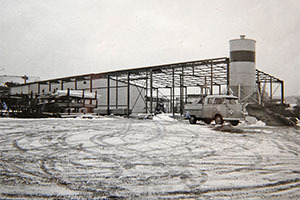 On 22nd March 1955, the “Plastics plant” became the present company Westfälische Kunststoff Technik GmbH. 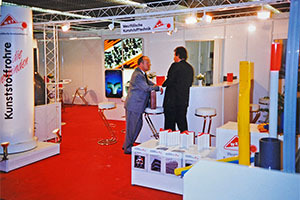 Already at the plastic exhibition in Düsseldorf - the later “K” Fair- the diverse products of the Westfälische Kunststoff Technik were introduced to an interested audience. 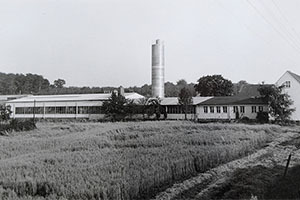 In 1959, the excellent order-book situation made it possible to purchase a former hosiery factory in Sprockhövel. 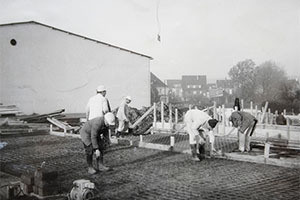 By means of this object and the building of new halls, space was created for further expansion of production. 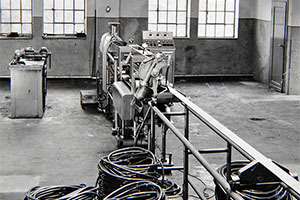 The first twin-screw extruder guaranteed even more high-quality pipes made of PVC - an additional extruder made it possible to produce larger pipe diameters. 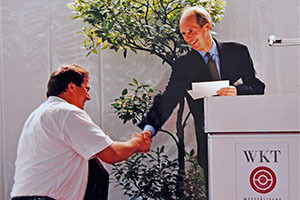 In 1962, WKT made further investments. 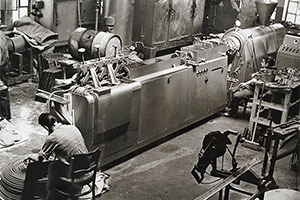 The production hall was extended in order to create space for new extruder lines. 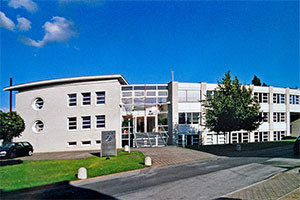 The office building which had become too small is further extended in order to be able to hire new sales staff. WKT continues to invest further. So the production hall is again extended in order to be able to integrate new extruder lines with longer cooling lines. Also the first PVC silo and a new mixing plant were set up. 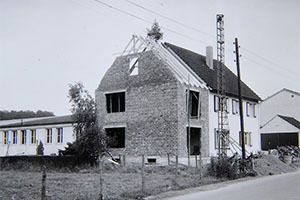 In the 70s, the German economy experienced one of its most difficult phases. Due to its product diversity and its high quality standards, the Westfälische Kunststoff Technik could also survive these times unscathed. The first PVC pressure pipes NW 400 and single-use filters NW 350 were manufactured with the support of the application technology of the Deutsche Solvay plants. 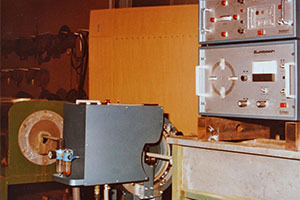 During production of floor-heating pipes made of PPH, an automatic wall-thickness gauge was used for the first time. 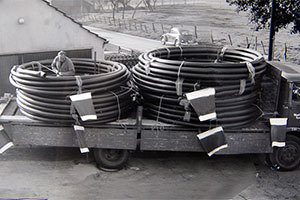 Between 1981 and 1988, investments were made in the extension of production in order to meet the increased demand for pipes. 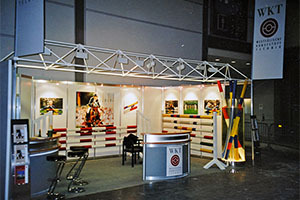 New products, such as PE cable conduits on drums as well as PVC-C pipes, supplement the production programme. 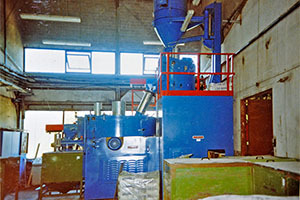 In order to further improve the quality of the WKT PVC products, investments were made in a high-performance PVC mixing plant. 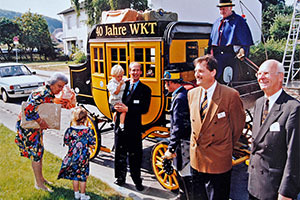 The German reunification brings about increased sales of WKT products too. Five new sales agencies ensure good service in the new federal states. At the trade fairs TGA in Leipzig and Achema in Frankfurt, the Westfälische Kunststoff Technik presented its new developments in the plastic pipe sector to an audience of experts. In the 1990s, comprehensive investments are made. 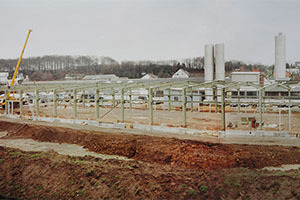 The extension of the PVC pipe production is in the foreground just as the set-up of a complete PE fabrication using the most modern generation of extruders. 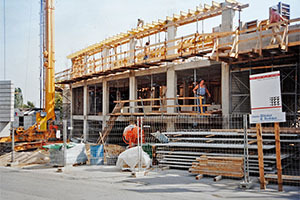 Following the completion of the additional production hall, the new building of an administration building which has become necessary takes place. The WKT becomes 40 years of age. 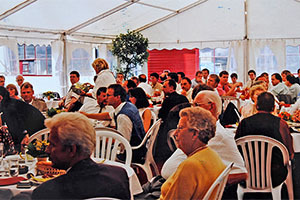 This event and the inauguration of the administration building were appropriately celebrated with customers, suppliers, employees and friends of WKT. 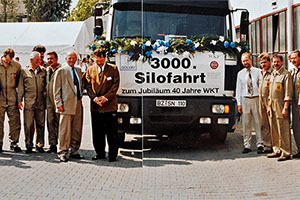 In the following years, further investments were made in products, in their manufacturing possibilities as well as in further training of WKT employees. These are all preconditions for ensuring that customer wishes were met and the continuity of the company is ensured. Parallel to that, the QM system according to DIN EN ISO 9001, which was implemented in 1994, is further extended and improved. 50 years of WKT, and again full of ideas. This is how the employees and the Westfälische Kunststoff Technik present themselves to their customers. The positive development of the company is essentially characterised by customers who have been satisfied over many years, by good suppliers and by the unrestricted motivation of employees. An eventful and successful past provides the safety and drive for an likewise successful future. 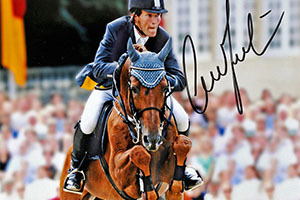 Experience shows that customers can only be inspired by uncompromising quality and high personal commitment. 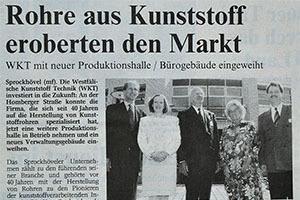 This is a principle to which the Westfälische Kunststoff Technik will always be committed also in the future. The new annealing furnace is put into operation. This enables the extension of the range of products to particularly stress-relieved PE pipes for roof drainage. In the following years, focussing on customer-specific special solutions belongs to the main targets of the company policy. A new large wrapper unit is installed for the field of cable conduits made of PE. 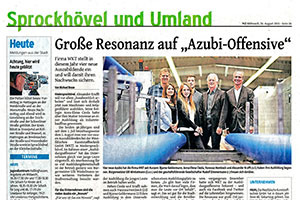 The year focuses on the further development of pipe systems for the area of renewable energy sources. These systems are manufactured on highly efficient production facilities which in the course of implementing an energy management system according to DIN ISO 50001 are continuously monitored energetically. 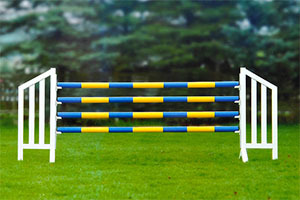 The year is marked by a continuous extension of the range of products. Extensive investments in the PE fabrication make it possible to manufacture multilayer pipes in various designs for different application scenarios. From 2014, under the product name of “RCperfekt”, pipes made of PE 100RC and certified according to the PAS 1075 are produced for alternative installation procedures. The sale of professionally manufactured special pipes, which are partly submitted to additional processing, is carried out in concentrated form under the product programme “WKT individual”. 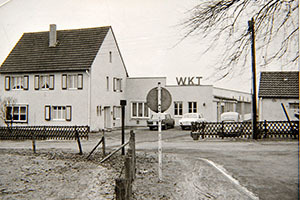 WKT becomes 60 years and is still as fresh as in the early years. Always in search of new ideas and creating good solutions for our customers. By means of modern organisational procedures, the production processes and manufacturing plants are structured and thus the efficiency of production and the quality of the products further increased. From now on, special hoses made of PVC also belong to the product portfolio. To us, Rohriginal as a wordmark stands for the steady striving for the better. With a fresh online appearance in 2016, we want to make this clear to our partners and win them over for our ideas. Please accompany us on our way. Das Jahr 2017 ist für uns der Start in eine neue Dimension. 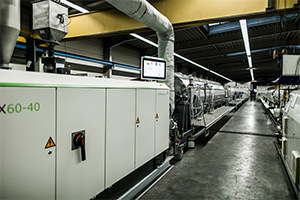 Nach erfolgreicher Installation einer hochmodernen Extrusionslinie fertigen wir Rohre aus Polyethylen für unterschiedlichste Anwendungen im Coextrusionsverfahren bis zu einem Durchmesser von 630 mm. WKT wird digitaler. Aufgrund der Aktivitäten in der europaweiten Schaffung der digitalen Infrastruktur fordert die Nachfrage nach Kunststoffrohren in 2018 eine vollkontinuierliche Produktion an 7 Tagen und 24 Stunden. Dazu werden die internen Prozesse ebenfalls digitalisiert von der Kundenanfrage über die Rückmeldung von Produktionsmengen bis zur Logistikplanung.